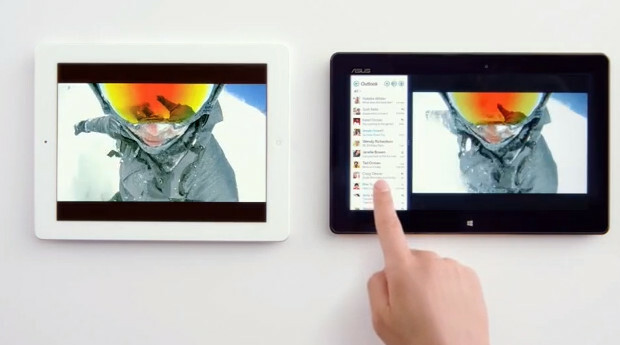 Microsoft has decided to take the battle to Apple, launching a full-on assault on the iPad, with a thirty second advert (below) suggesting that Apple’s massively-selling tablet is only really good for playing Chopsticks on a virtual piano app. 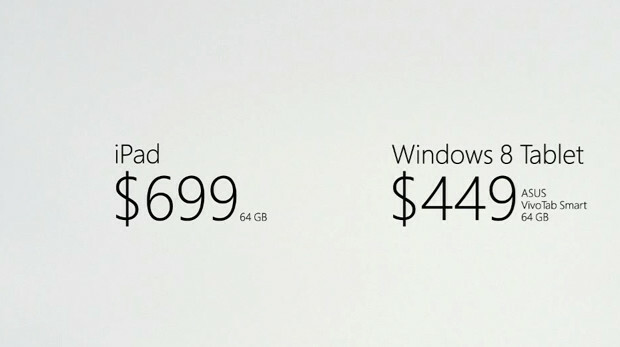 The advert ends by comparing the prices of the two 64GB tablets, with the Asus priced at $449 and the iPad at $699. It’s certainly an aggressive move by Microsoft, and we find it rather fun, even if it isn’t exactly as convincing as I’m sure they’d like to think it is.